and Recruiting Rundown, launched in 2009. Get caught up on the latest news right here, right now by visiting LaxLessons.com’s groundbreaking, imitated, but never duplicated Lacrosse Insider. It’s the No. 1 source and unparalleled leader for recruiting news, analysis and objective information in the NY/NJ/CT tristate hotspot and the entire lax galaxy, featuring nationally respected, award-winning multimedia news and sports director, manager, producer and editor Joe Lombardi, the author of the latest edition of “Lacrosse for Dummies.” Access Insider here. Following five straight seasons at or around the .500 mark, Mount Sinai is hoping to break through in a big way in the Suffolk County (NY) race in 2015. If the Mustangs are to do that, Danny Bullis will have to play a big role. The senior attackman is a feeder/finisher whose commitment to St. Joseph’s University was first reported by LaxLessons.com in July 2014. Now, here are Danny’s perspectives on the season. What have you been doing to get ready for the season? This offseason, I really focused on my strength in the weight room along with speed and, of course, stick skills. We have been playing indoor as a team as well. How does your schedule look, what games are you looking forward to most, and who are some of your scrimmages against? This fall, we scrimmaged Smithtown East, John Jay, Darien and Ward Melville. A few games we are looking forward to most are Miller Place and Shoreham Wading River. What players on your team do you think will surprise some people this season? There isn’t one specific player, but I expect the whole team to really step up this year and surprise some people as a whole. What do you think the strength of your team will be this year? One of our biggest strengths this year is our balance and depth at every position. How do you view the race in your league and who do you think some of the contending teams will be? With the new league changes I expect the race for the county championship to be very competitive. Have a recruiting commitment to report? Send an email to info@laxlessons.com, contact Joe Lombardi directly at joe@laxlessons.com or send a Tweet to @Joe_Lombardi or @LaxLessons. 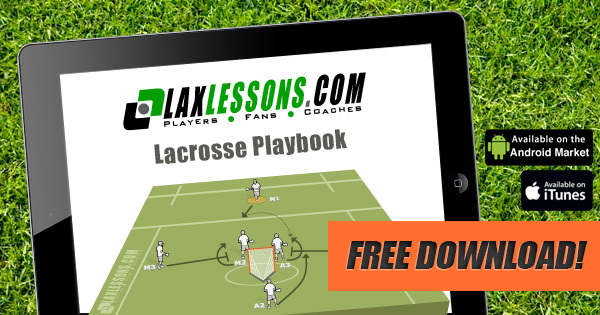 * Download for free the new LaxLessons’ playbook Android app in Google play. * Download for free the new LaxLessons’ playbook iPad/iPhone app in the iTunes store. * You can subscribe to LaxLessons.com’s playbook, featuring animated drills and plays for your team, by clicking here. * Follow LaxLessons on Twitter by clicking here. * Become a Fan of LaxLessons on Facebook now by clicking here. Be sure to sign up for our free online newsletter. Just enter your email address on the “Receive Our Newsletter” link on the homepage of LaxLessons.com.